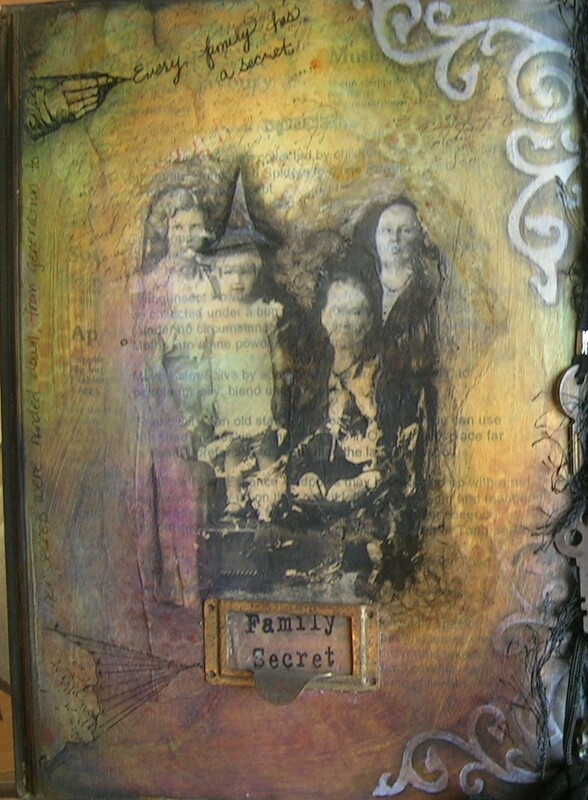 Transfering images onto your mixed media work can be challenging. On our Melange Team thread over at Etsy, we have had an ongoing discussion about all of the different methods ‘out there’ and decided to do a challenge to show some of the different ways they can be done. 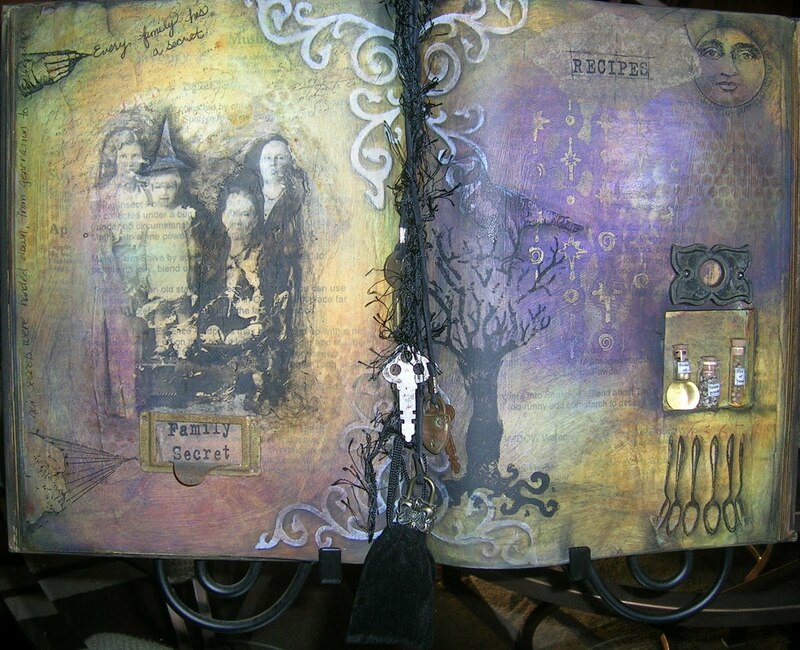 This is a transfer that I did on my altered Halloween Cookbook for Somerset’s Holiday edition. I used an inkjet transparency and gel medium which worked fairly well. I like that it came out a bit rough, which helped with the aged look I was going for. The method that I like the best is using hand sanitzer. It is so much less messy. I use inkjet transparencies with it, but I know that others use photo paper. I find that for myself the transparencies seem to work best. I think the key to getting good results it practice. Experiment with different methods, find one or two that you like and practice. There is a ‘knack’ to it that can only be learned by actually doing it. Take a minute and visit our Melange Team blog to see what everyone had come up with! i giggled when i read you like "hand sanitizer" as a transfer method. i think i might have to try that! i have them all over the house and cars anyway……is that what happens to us as we get older i wonder? love your halloween transfer by the way! gorgeous!! Of course it is wonderful … as usual !! Love all you do ! hand sanitiser is a new one for me as well, is it a spray? I agree though it just takes practice. Your cook book is fab! I love the way this turned out Pam. The transfer did give the most perfect effect to the book page. You know, we better buy tons of inkjet transparencies and Purell before they take them off the market…never ceases to amaze me…. a really beautiful artwork !!! Hand sanitiser??? I guess the pages must smell wonderful then, LOL! I have never heard of using hand sanitiser before, how interesting!